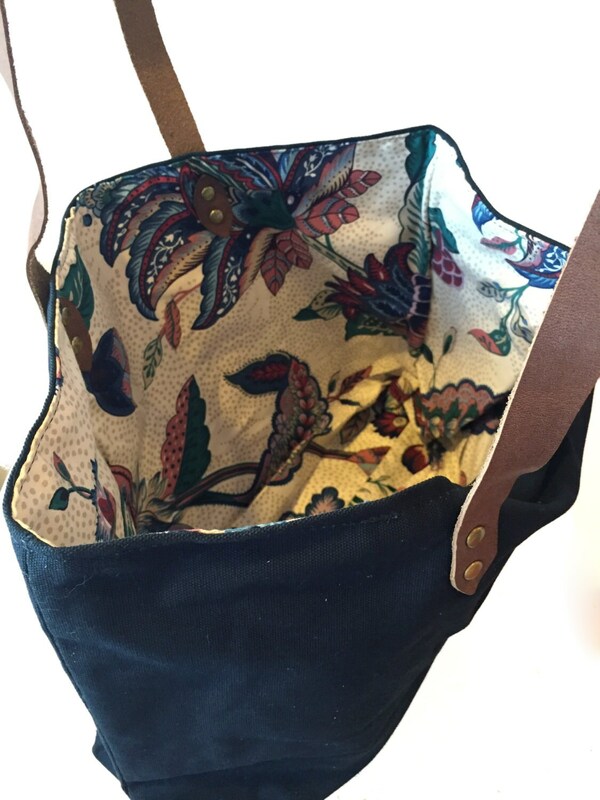 This simple and versatile tote is made from high-quality canvas duck and features beautiful waxed leather straps which are fastened securely with brass rivets. It is the perfect size for daily errands and light travel. Big enough to hold everything, small enough to find everything that is in it! 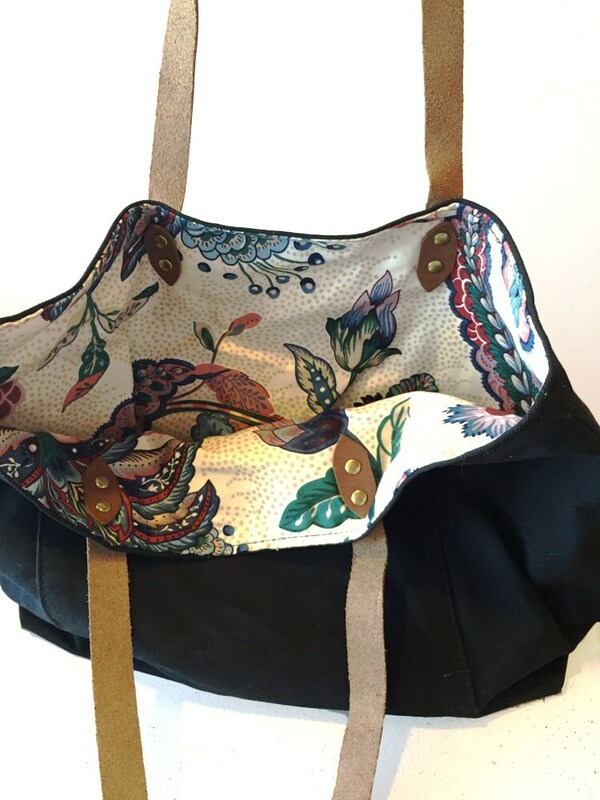 This bag is lined with vintage floral fabric. 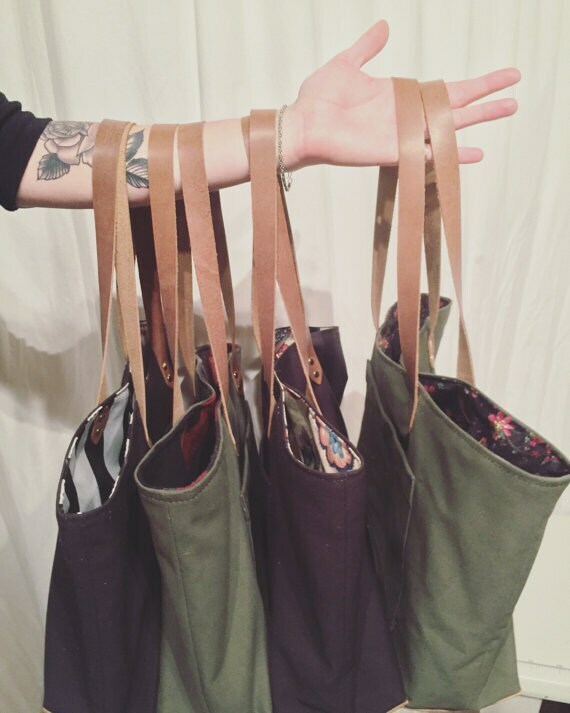 A protective leather base is stitched sturdily onto the bottom of each bag. 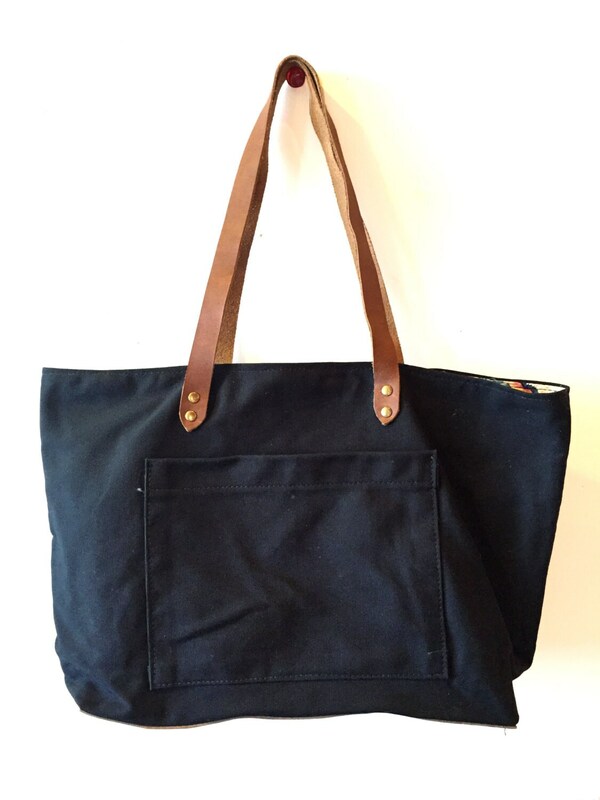 A fabric wax such as Otter Wax can be applied to this cotton canvas tote if extra protection is desired.